The passage we just read from 1 Corinthians is one of two obvious Passover references in this letter. Paul goes on to share instructions on how we’re supposed to prepare for Passover, as well as warnings about the dangers of not keeping Passover the correct way. That’s a pretty sobering warning. If we don’t properly understand and respect the Lord’s Passover, then we’re dishonoring Jesus Himself. We’ve been told to keep the Passover in remembrance of Christ, proclaiming His death until He returns. God doesn’t want want us to overlook this day, and He also desires more than rote obedience to this command. He cares deeply about how we approach keeping the Passover and the condition our hearts are in while we observe this day. We don’t know the exact timing for Paul writing this letter to the Corinthians, but we do know for sure that he wrote it before Pentecost (1 Cor. 16:8). I suspect he wrote the letter and intended the Corinthians to read it before keeping Passover and the following Feast of Unleavened Bread. With that perspective, we can see allusions to Passover throughout this letter. I’m sure the original readers would have noticed these, since they were either coming up on or had just kept the Passover. Early in the letter, Paul talks about how God has “made foolish the wisdom of the world,” “put to shame the things that are strong,” and brought “to nothing the things that exist, that no flesh should boast before God” (1 Cor. 1:19-29). Not only is that a description of He’s doing when He calls us, but it’s also what happened when God destroyed the superpower Egypt while delivering His people in Exodus. Moses approached Israel and Paul approached the Corinthians “not in persuasive words of human wisdom, but in demonstration of the Spirit and of power” (1 Cor. 2:4, see Ex. 4:1-12). And part of the messages that God gave both Paul and Moses to deliver overlap. Moses, at God’s directive, commanded Israel to get rid of leavening (yeast, and other things that ferment and puff-up bread). Similarly, Paul took the Corinthians to task for being puffed-up with pride about sin they should have been getting rid (1 Cor. 4:6, 18-19; 5:2; 8:1). 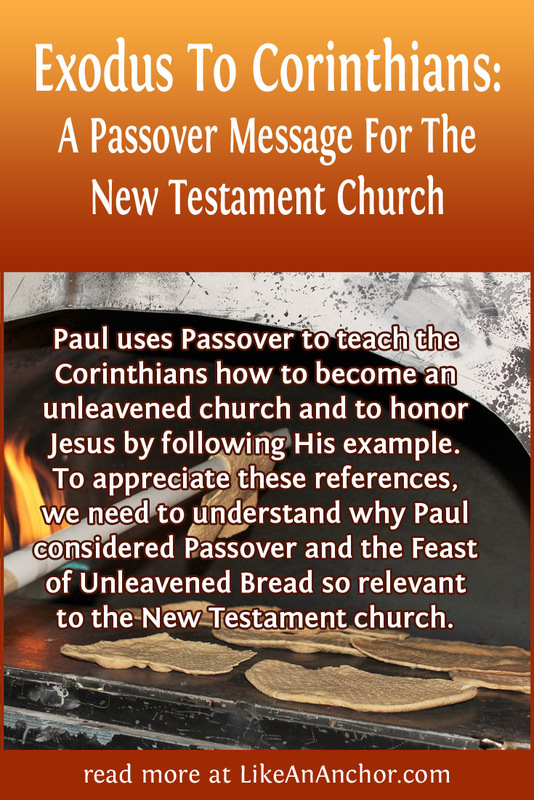 Here, Paul tells us how New Testament Christians are to keep the Feast of Unleavened Bread. Because Christ our Passover has been sacrificed for us, we can be spiritually “unleavened.” In fact, we must be. The leaven of sin cannot be tolerated in a church because it will spread and “puff-up” the people of God. A little later in the letter, Paul returns to ancient Israel as a physical example we can use to learn spiritual truths. The stories recorded in the Old Testament are intended to warn us so we don’t make the same mistakes they did. We don’t want to reject God after we’ve been redeemed by Christ’s Passover sacrifice, the way Israel did after the Passover when God rescued them (1 Cor. 10:1-12). This leads to another of Paul’s main points for the letter: “flee from idolatry” (1 Cor. 10:16). He then addresses the question of whether or not it’s okay to eat meat that was sacrificed to Idols and sold in the market place. And he uses Passover language to do it. Which sacrifice do you want to partake in? The Passover sacrifice of Jesus Christ, or something associated with idolatry? This question goes far beyond what we eat each day, or even the Passover symbols of wine and unleavened bread. It’s about how we choose to live our lives each day. It’s about whom we choose to serve. And it leads us right back to the verses in 1 Corinthians 11, where we started talking about the New Testament Passover. Each Passover, we’re invited to participate in a memorial of God’s redemption work throughout the ages. And because Jesus Christ filled the law and associated observances to its full spiritual extent, keeping the days God calls holy to Him teaches us spiritual lessons. This is a vital aspect of our faith that Paul wanted New Covenant believers to fully appreciate in his time, and I think he’d want the same thing for us today. ← What If We Stopped Trying To Impress People? Very interesting. Thank you for breaking this down. Being relatively new to the Christian faith and actually having come to its beauty through the tenets of the sciences, I did not know the significance of the day. I thank you for the lesson. Thank you 🙂 I think it’s fascinating to look at how the Old Testament ties-in with the New, and I’m glad you found this topic interesting as well. It is a long story, but what I have found through the reductive nature of empirical science is that it strikes at the very nature of hope, which through my studies, I have found to be linked to one’s faith and one’s capacity to believe in something that is not yet tangible. I have seen that we as people dream life forward and there is no empirical scientific arguments for the powers a dream can have on the individual that pay justice to their true power to elicit hope. So if hope is based upon faith, and faith is based on a belief in something unknown, then the tenets of Christianity were not far off for myself as a non-believer at the time. I was simply lost at one point, and then found hope through faith and belief in something that transcended the self, namely the trinity and the belief that we are all interconnected beings. Sounds like an amazing story. Thanks so much for sharing! I love that Christianity provides a framework/story for why human beings dream, believe, and hope in something larger than themselves. You need to reconcile your timeline. The Passover DAY would have started that evening with NOT the Passover meal. That was the next afternoon after the lamb was killed between the evenings (noon and 6) on the 14th. We can confirm that by two facts: The Pharisees would not enter Pilate’s house; they thought that would render them unclean to have the Passover. We also know it wasn’t a Passover meal because a) there is no mention of lamb, and b) they left the building afterward. On Passover, you stay inside the home. This was the meal forecasted by John 6 with the portend of John 6:66 where folks left the “Yahshua for King” campaign rally and went home. 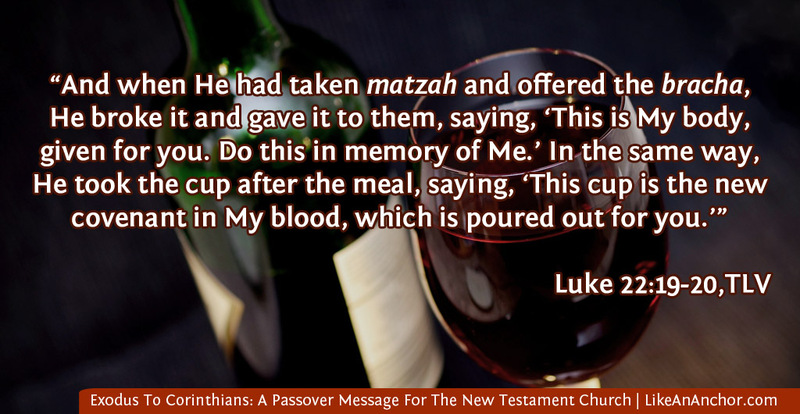 As I stated in my reply to your comment on my other post, Yeshua described what He and his disciples kept as the Passover in three gospel accounts, most explicitly in Luke (Matt. 26:17-20; Mark 14:12-17; Luke 22:7-15). I’m sure He knew what He was talking about. And while it doesn’t specifically mention them eating lamb, that is implied by the fact that He calls it Passover. 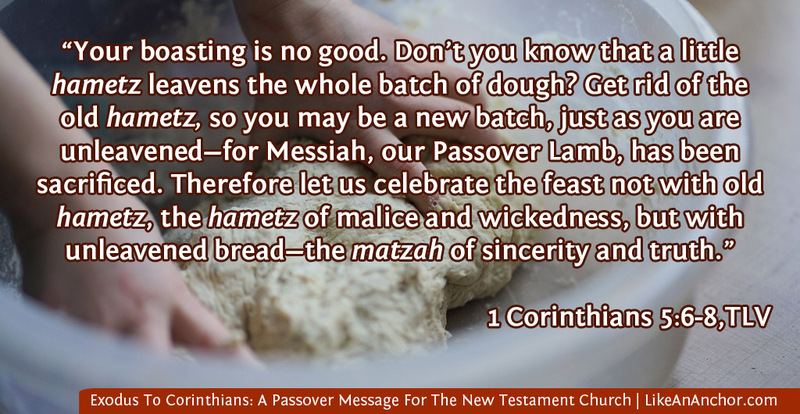 Yes, the Pharisees were keeping Passover the next day, but Yeshua had already chewed them out for changing the commandments of God and substituting their own tradition. Why would we assume they’re right and He was wrong about which day to keep Passover? He said that he earnestly desired to keep that Passover with them–which started that evening and went till the next (Western brains seems to have a problem with that time reckoning–as well as what counts as three days and three nights). Yes, HE knew what he meant, but seemingly few others do. He knew what his mission that Passover was. He would still be “with” them in a sense, but completing the most amazing task of His earthly assignment. And it would be pretty hard even for the religious to mess up the 14th day of the 1st month. Shalom.